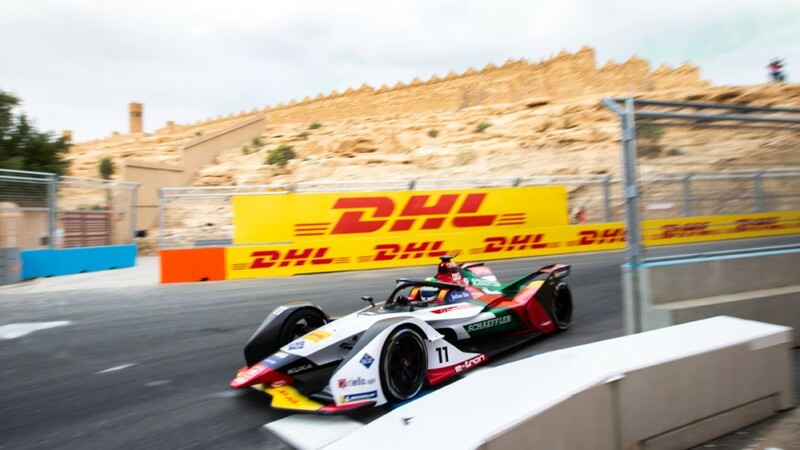 Four weeks after the 2018/2019 Formula E season opener, at which Team Audi Sport ABT Schaeffler scored initial points with its two factory-fielded cars, the ABB FIA Formula E Championship will race in Morocco next Saturday (January 12). In Marrakesh, last season’s Teams’ Champions, Daniel Abt and Lucas di Grassi, intend to continue making headway. In mid-December, at the opening race in Ad Diriyah, the title defenders, following chaos in wet conditions and qualifying, had improved from 11th and 18th on the grid to eighth and ninth in the race. The event marks Formula E’s third visit to Circuit International Automobile Moulay El Hassan that underwent a major modification in 2015. The circuit, featuring a mix of permanent race track and public roads – named after the Crown Prince of Morocco – is near-three kilometers long and has twelve turns. It runs through the modern hotel district of Marrakesh, along the nearly 900-year-old city wall and is located just a few minutes away from the old town with its world-famous souks.